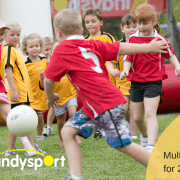 Kindysport is an exciting multi-sport program that introduces your 2 to 5 year old child to a variety of sports in an encouraging environment. 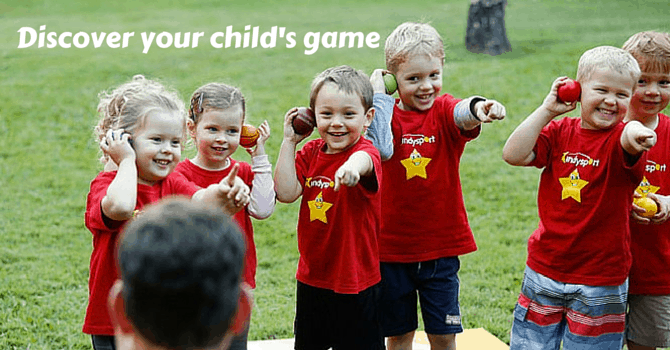 A fantastic range of age-appropriate games and equipment helps your child develop sports skills while building social skills, confidence and co-ordination. 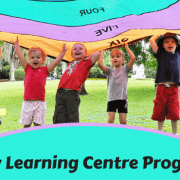 Programs are offered in Rockhampton and Gladstone. 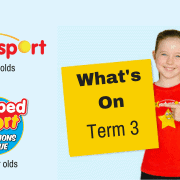 Click here for the Term 3 timetable and more information. Click here to register for a Champion’s League program and to find out more. These holidays we are going to be running 2 different events to cater for different age groups. 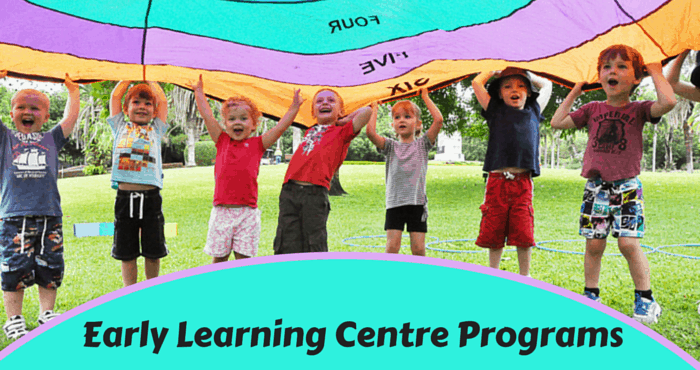 Each day we have a session for Toddlers from 15 months to 5 years old ($10) from 9 to 10.30am. 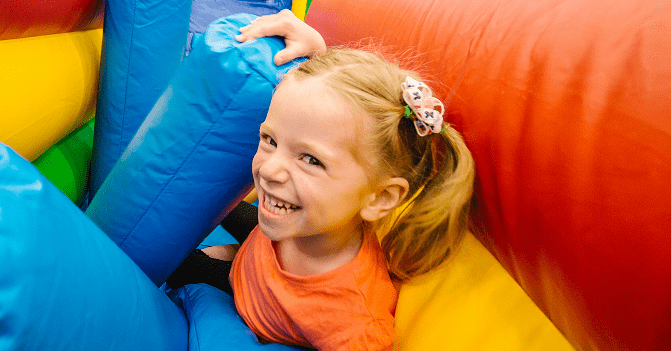 Your child will enjoy supervised play with a range of interactive inflatables and soft play equipment. It’s a great meeting place for playgroups and is a fantastic opportunity for parents to interact with their children in a fun and safe environment. Suitable for children 5 and under. Cost is $10 per child. No bookings required. Cash payments can be made on the day. For session times please click here. The Pumped Sport Games is an action packed 90 minute event where 4 to 12 year old children compete in teams in 9 exciting challenges that range from modified versions of traditional sports like soccer to more Ninja flavoured obstacles. 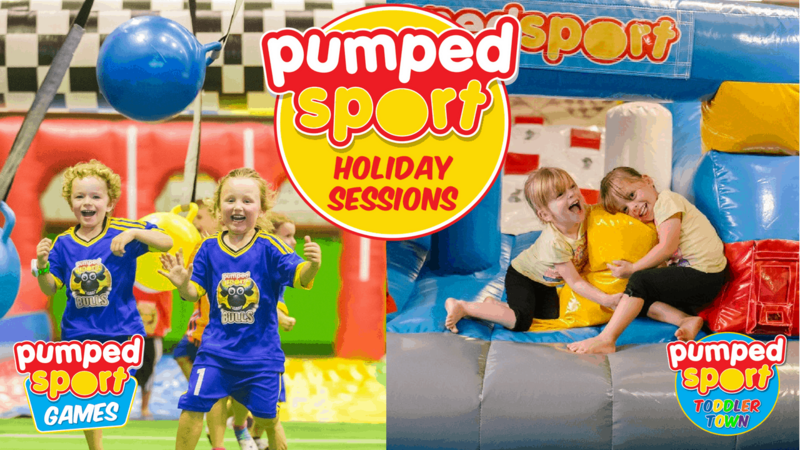 With lots of inflatables, colourful team jerseys and heaps of variety, children are sure to have a blast! Sessions are $15 per child and bookings are required. To see session times or to register please click here. Sessions will be offered in Gladstone, Bundaberg, Hervey Bay, Rockhampton, Biloela, Emerald and Mackay. Playing sport is a wonderful tool to teach children a number of important life skills like confidence, teamwork and good sportsmanship. Research has shown that the number one reason kids play sport is to have fun. It’s not surprising then, that the number one reason children quit playing sport is because they stop enjoying it. Being a good sport – emphasize the different values that make up being a good sport like enthusiasm, fair play, determination, communication, humility, respect, unselfishness and co-operation. Celebrate and highlight when children demonstrate these values. 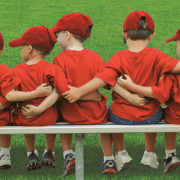 Positive coaching – as a coach, strive to create a safe and supportive environment where children receive a positive coaching experience that promotes inclusivity, good sportsmanship and fun. Regardless of what happens in the game or practise, refrain from using negative or derogatory language. Support and encourage all children to make this the best possible experience. 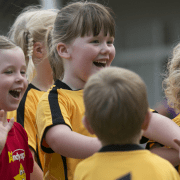 Game time support – As a parent, demonstrate positive sideline behaviour by refraining from using negative or derogatory language aimed at the Officials, the Coaches, your child or other players. Support and encourage your child. Inclusion – don’t get white line fever and bench the weaker players when things get close. All children should play equal time. 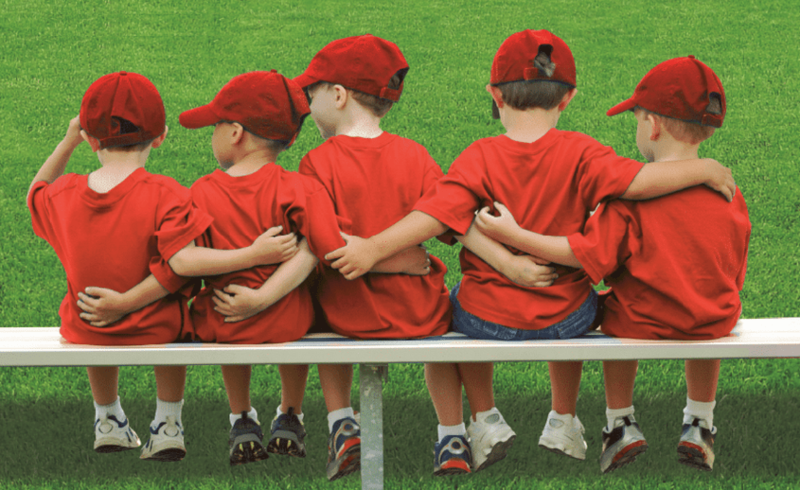 Team friendships – a strong focus on good sportsmanship and feeling valued and connected helps your child develop strong friendships with their teammates. The bottom line is keep it fun and children will want to play! 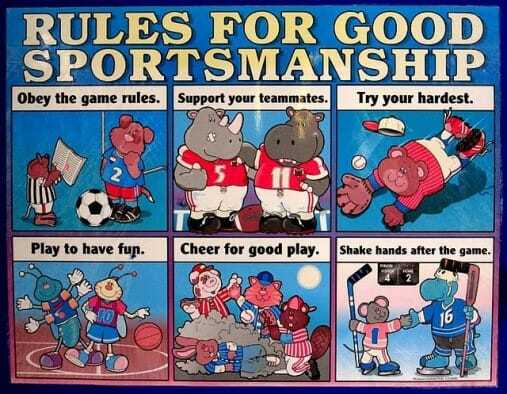 Teaching Kids About Good Sportsmanship! Be a great role model – Show your child good behaviour when you’re losing and winning. Children mimic role models, whether that be Billy Slater playing Origin or Mum and Dad playing in the local touch footy competition. Don’t carry on like a goose in your game and expect your child to behave differently. Call out bad role models – if you’re watching a game and see a professional athlete behaving poorly, let your child know that what they are doing is not cool. Try and reference another elite athlete that would have behaved differently in that situation. Be disciplined – Don’t let poor sportsmanship become the norm and a habit. Call it out early and give children consequences for poor sportsman like behaviour. Celebrate and reward good sportsmanship – make a point to highlight any specific examples where your child demonstrated good sportsmanship and celebrate it. By teaching our kids good sportsmanship skills from a young age we can go a long way to keeping children from dropping out of sport because it’s no longer fun. https://pumpedsport.com.au/wp-content/uploads/2018/05/sportsmanship.png 518 870 admin https://pumpedsport.com.au/wp-content/uploads/2017/10/pumped-sport-logo.png admin2018-05-21 11:04:362018-05-21 11:27:06Teaching Kids About Good Sportsmanship! Hopefully you had a great Easter and are enjoying some family time over the break! Our Term 2 programs kick off in the week starting April 16th and we have a massive term planned. 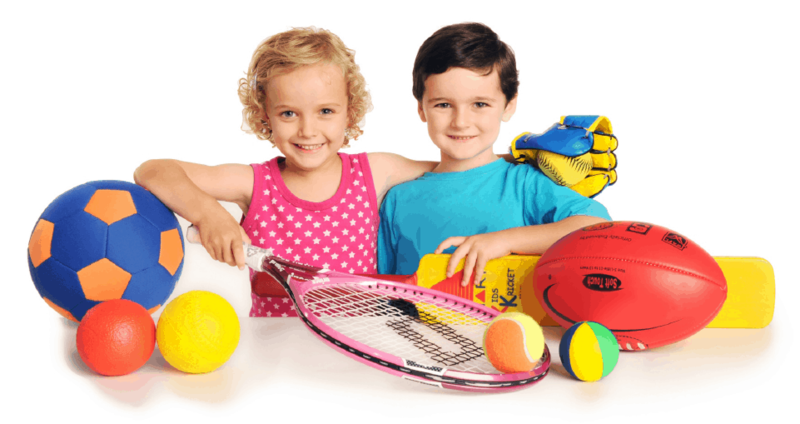 Kindysport is an exciting multi-sport program that introduces your child to a variety of sports in an encouraging environment. 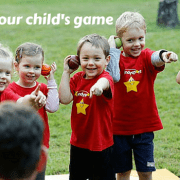 A fantastic range of age-appropriate games and equipment helps your child develop sports skills while building social skills, confidence and co-ordination. This term we will learn 10 different sports which will culminate in a Kindylympics event at the last lesson with an exciting medal ceremony to reward all the hard work put in by our little athletes. Click here for more info or to register for a free trial. For our term 1 families that are re-enrolling, we have automatically saved your spot so there is no need to do anything before the first lesson. We will have making payment info at the first lesson. This term is 10 weeks – $135. Champion’s League is the next step after Kindysport for children who still love the variety of playing different sports. 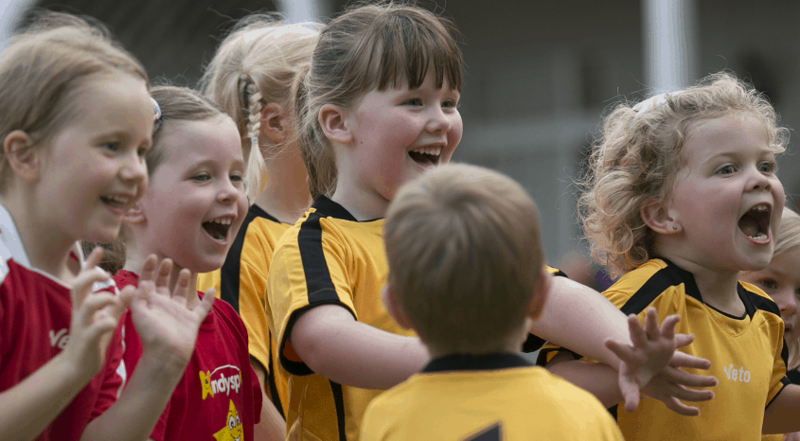 Each week we focus on a particular sport and get more into game play and tactics and place a lot of focus on developing good sportsmanship skills. Each week we introduce a different sportsmanship value and medals are awarded at the end of the lesson for children who best demonstrate that value. In addition to our 10 week Saturday morning program at Hegvold Stadium that commences 21st April, we will also be commencing 8 week programs in the following Rockhampton schools which will commence in week 2 of the school term. Click here for more info or to register. For our term 1 families that are re-enrolling, we have automatically saved your spot so there is no need to do anything before the first lesson. Looking forward to heaps of fun! 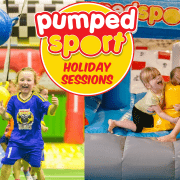 Our Pumped Sports sessions are a great opportunity for children to burn off all those Easter eggs in a massive inflatable playground. Bookings aren’t required so get your friends together and just turn up on the day. Cash payments can be made at the session. Back in 2009, we were running our program in the Northern suburbs of Perth. Dan and Millie, two 4 year olds, were enrolled in our program at the time. Dan was a shy little guy who’d grown up watching his older brother Josh enjoy the program. He was very nervous at the start and was hesitant about joining the group. With some support from Josh, we gradually encouraged Dan to participate and he very quickly found his feet. Although always quietly spoken and very polite, Dan’s confidence blossomed and he really excelled at each sport. Millie on the other hand was super confident from the start and always had a smile on her face. She loved to socialise and really enjoyed the social aspect of our program. She was quick to help any children that hadn’t grasped a concept and loved to model the skill of the day to show the rest of the group ‘how it was done’. Last week I thought I’d touch base with Dan and Millie’s Mums to see what path they’ve taken. Both children are now in their first year of high school. Dan loved playing a range of sports throughout primary school and has really connected with hockey. 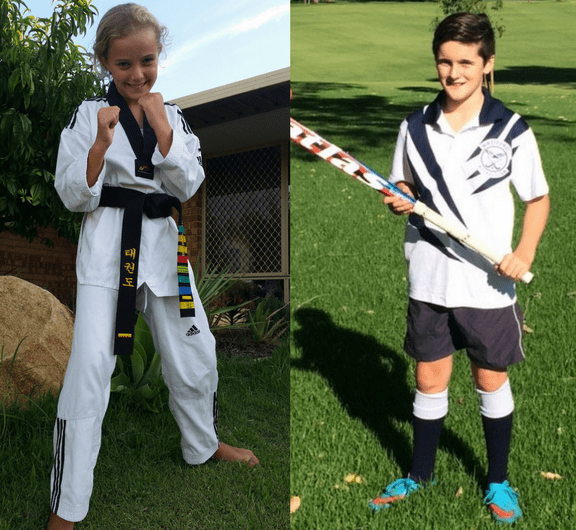 Millie found a passion for Taekwon-do and at the age of 12 is already a black belt! Dan and Millie are great examples of how children can enjoy a childhood engaged in a pursuit that they thoroughly enjoy. The friendships that they both are making right now in their chosen fields will last a lifetime. They’ve developed confidence, discipline and healthy habits that make physical activity a routine and highly enjoyable. Both are excelling in their sport but were willing to try different things at a younger age to find their passion. https://pumpedsport.com.au/wp-content/uploads/2017/12/danielandmillie.png 509 961 admin https://pumpedsport.com.au/wp-content/uploads/2017/10/pumped-sport-logo.png admin2017-03-03 03:19:462017-12-03 03:38:42Where are they now? 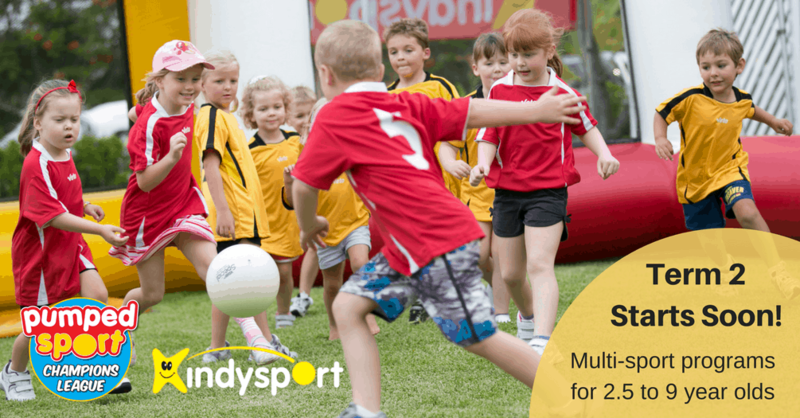 Kindysport is a great way to introduce your child to sport and exercise. 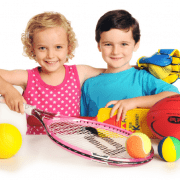 Our structured multi-sport program has been specifically designed to introduce 3 – 6 year children to 12 different sports using age appropriate sports equipment and games. Our focus is providing a fun, safe, inclusive program that enable children to develop the necessary skills to enjoy being active. 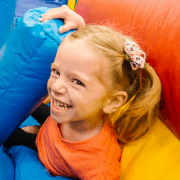 We provide a caring and supportive environment that recognises each child’s different stages of physical, social and emotional development. 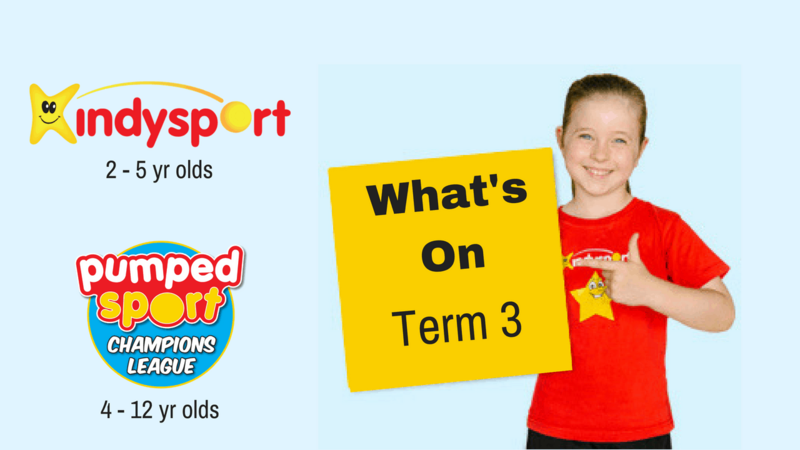 Develop a variety of sports and gross motor skills while discovering sporting interests. Develop a positive attitude to being active by nurturing confidence and self-esteem. 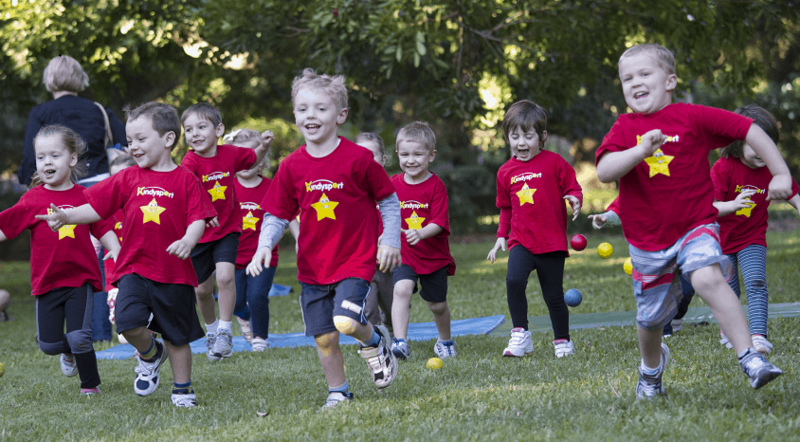 Kindysport deliver a gross motor skills and introductory sports program at ELC facilities such as a kindergarten, pre primary school, early learning centre or daycare centre. 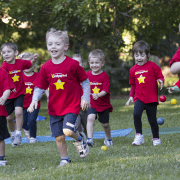 ELC programs are a great way for your facility to introduce a fun, structured sports or gross motor skills program that will enrich the learning outcomes of your children. The programs can be tailored to suit your physical education requirements. Join the PUMPED CLUB! for program updates, discounts and more!